They say there are two things a person never forgets in his entire life. His first love and his first cigar! Well, only someone who has felt the happiness of smoking just the right cigar would understand this. And with this dynamic world, there are just a lot of options to choose from. So it becomes very important to know which cigar is the best one for you to understand the importance of a good cigar smoking experience. And what better way to start than mentioning the most expensive cigars ? This becomes a personal choice, but what we can help with is to classify cigars based on their price. Hence, in this list, you will find top 10 most expensive cigars in the world out there. This would help you choose your perfect cigar which would satisfy all your senses when you will taste it, feel it, see it and even hear it! Come take a look at the most expensive cigars. Costing $50 per cigar, this one is manufactured proudly by the Goldwin Metropolitan Company. Having a six-inch ring is what makes the cigar so special based on its size. Another impressive feature is that they come to you being hugged by Rosado wrappers. This makes them score points on presentation. And, that’s not all, the best news is that you can purchase individual cigars as well to try one out and see if this is what you are looking for. They also speak of royalty as they have a portrait of Louis XIV on them. With a flavor of spice and cocoa, this cigar is an amazing one for you to enjoy! With an even more impressive size of seven inches, this one is a little difficult to acquire. It is produced by Arturo Fuente, who is one of the most prestigious cigar makers in the entire world. This very popular cigar has BBFM wrote on it which stands for big bad motherfuc**r because of its impressive size. 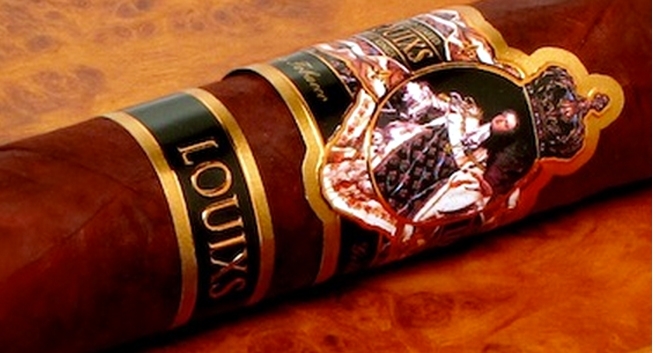 Given its renowned producer and impressive size and prize this cigar has a huge fan following! This is the cigar that speaks of history. A box of these contains 46 cigars with natural wrappers and 46 with Maduro wrappers. They come from Chateau de la Fuente, the place where it all started from in 1912. Each cigar is aged for seven years and they all come in various varieties. Another one of Arturo Fuente’s creation, this one does not disappoint you size wise either. Priced at $79 per cigar these are rarely sold individually. 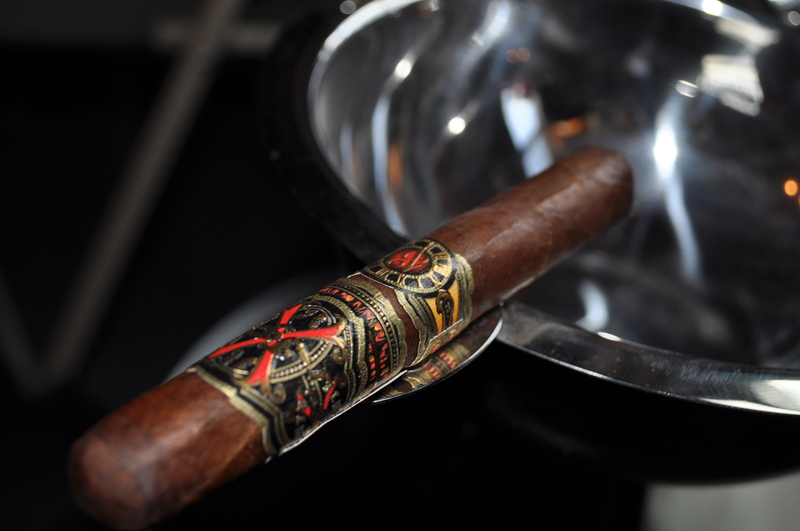 When it comes to their size, they offer you a 9 ¼”x47 cigar stick which makes them the biggest in the Opus X line. With a unique flavor of jalapenos, the box comes along with a ribbon wrapped around the cigars which reads “The Fuente Story” proudly flaunting the brand! One of the most hyped brands of cigars in Cuba includes the Cohiba cigars. They came up with Behike in 2006 and declared it as a limited edition with only about 100 boxes manufactured. It had a length of 7.5 inches with a 52-inch ring size which highly impressed its customers. Another impressive fact was that these cigars were all hand rolled. With a wide variety of cigars coming from Cuba regions like Vuelta and Pinar del Rio the customers thought it was totally worth. They say everything worth comes at a price. This cigar, though not the most expensive in the world, comes with a long time of waiting from Gurkha brand which is also famous as the “Rolls Royce” of the cigar industry. Each year only a batch of 100 boxes is produced, so you can only imagine how long the line of pre-orders would be. But what makes it all worth is its size of 7.5×52 inch, a 15 years old wrapper from Connecticut Maduro, a 12 years binder from the Dominican Republic and in the end the filler, infused with Louis XIII cognac. 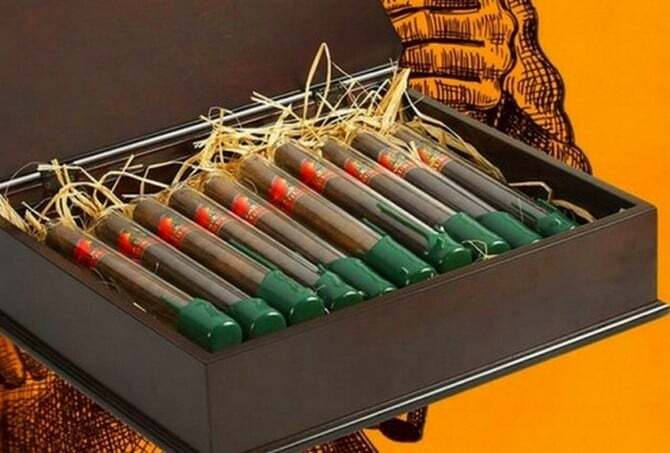 Although a single box of cigars is infused with a bottle of cognac, the users say it’s still mild and the box is priced $14,999 a box. All of the above have been aged for five years each! If not any other cigar in this world, this cigar from Danish Cigars would definitely make you feel like a special one. If you combine the two words cigar and personalization then you get the king of Denmark cigars. Costing $4500 per cigar, these are only made on order. They come along with your name on a gold foil wrapped around them. If this is not enough customization for you then you can also ask them to add a golden diamond or silver crown for an extra 4500 dollars on the cigar that you order. Filled with 1,600 pounds of tobacco, having a 1,920 ring gauge, this cigar is the without a doubt the largest in the world. Initially made as a display piece, the cigar was later sold for $185,000. 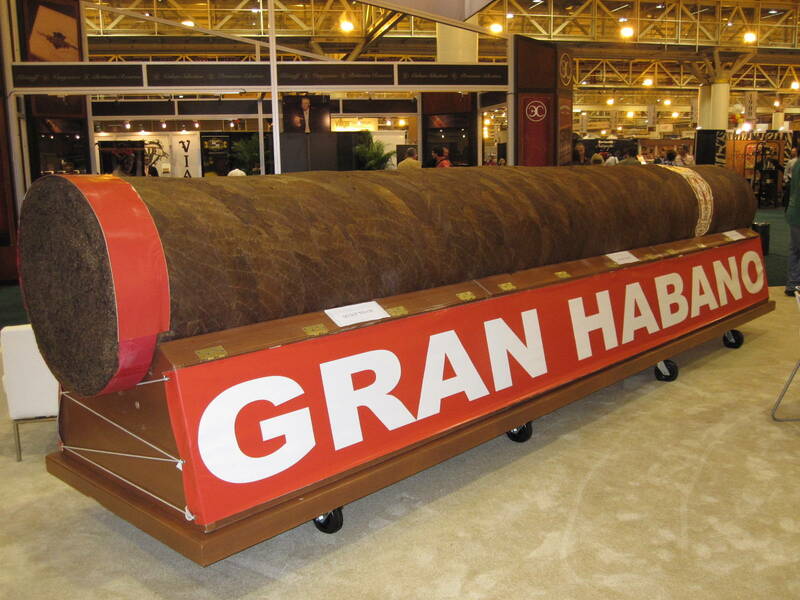 This huge cigar came with a wooden carrying case and weighed 1,600 pounds. It was so big that 40 people could smoke it at the same. The sicars were 600 years old when they were found in 2012 in Guatemala. The most expensive cigars of the world are a blessing from the archaeologists of Tampa University as they found these in a pot made of clay labeled “sicars” which means to smoke rolled tobacco leaves. Since then they have been preserved with extreme care and are in a condition to be smoked! The entire collection was sold at Cigar Auctioneer website at $507,000 to tobacco collector Gary Liotta. So these are the most expensive cigars in the world. 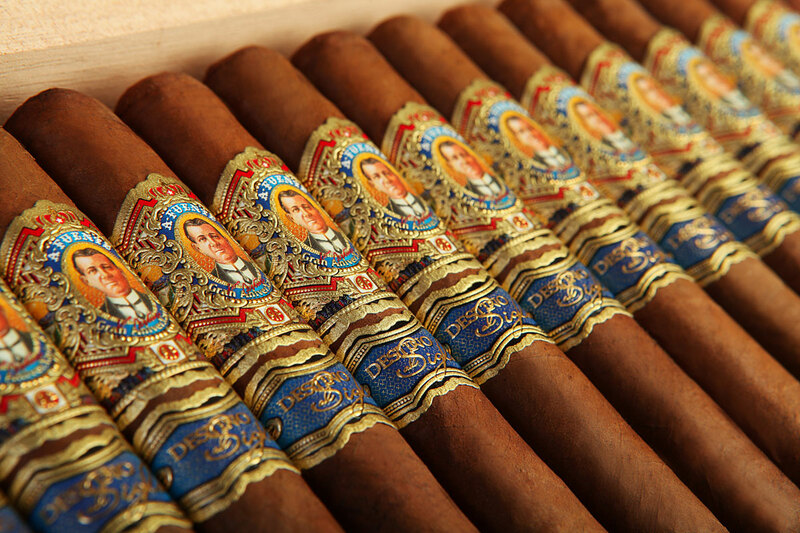 Do let us know which amongst these most expensive cigars is your favorite and why! Do comment below!